14 Feb Our new store opens,INSPIRED BRIDAL. THANKYOU TO ABOUT MY AREA, HALEY STORY. A business in Portsmouth is bucking the trend during the recession by opening up a second shop. 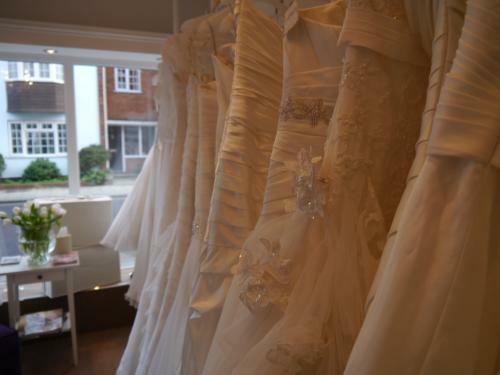 Creatiques, a wedding boutique in Marmion Road, Southsea, recently expanded its offering by launching a new store in Old Portsmouth. 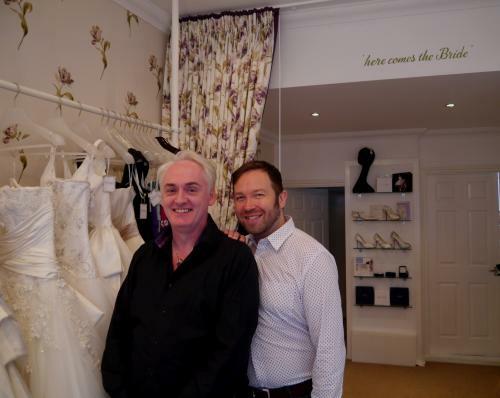 The new shop, called Inspired Bridal by Creatiques, was naturally the next step for the business in terms of being able to meet the demand from customers. Originally planning to move to a bigger shop, logistical issues meant that they decided to operate a second store stocking different collections in each one. The arrangement means that brides-to-be can come into the city and have a day of shopping. Creatiques has been running for 25 years in March. The business was originally started by Andrew who worked from home. Seven years ago they decided to open up the shop in Marmion Road, originally on the other side of the street. Four years ago they moved to their current location which had a dramatic effect on the business. The business has gone on to win numerous awards including Wedding Ideas Retailer of the year twice, Southern Area Business Awards and Wedding Industry Experts to name just a few.